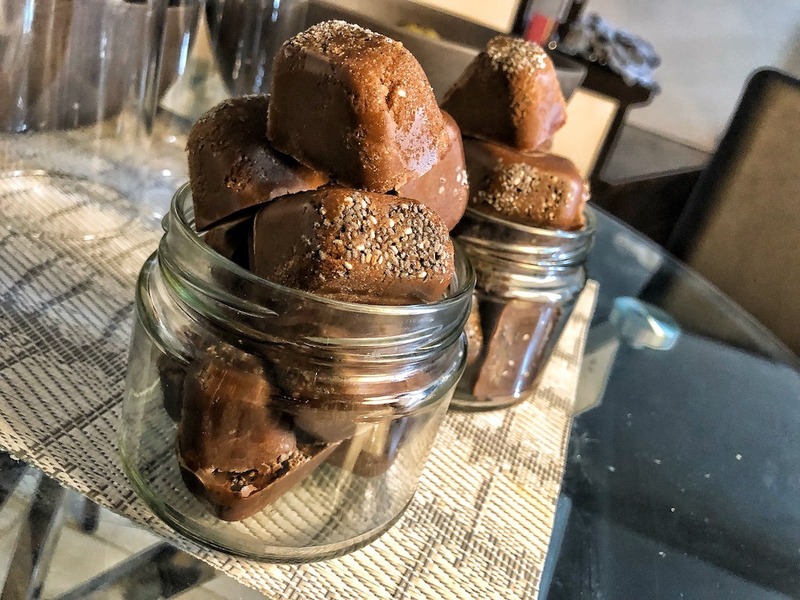 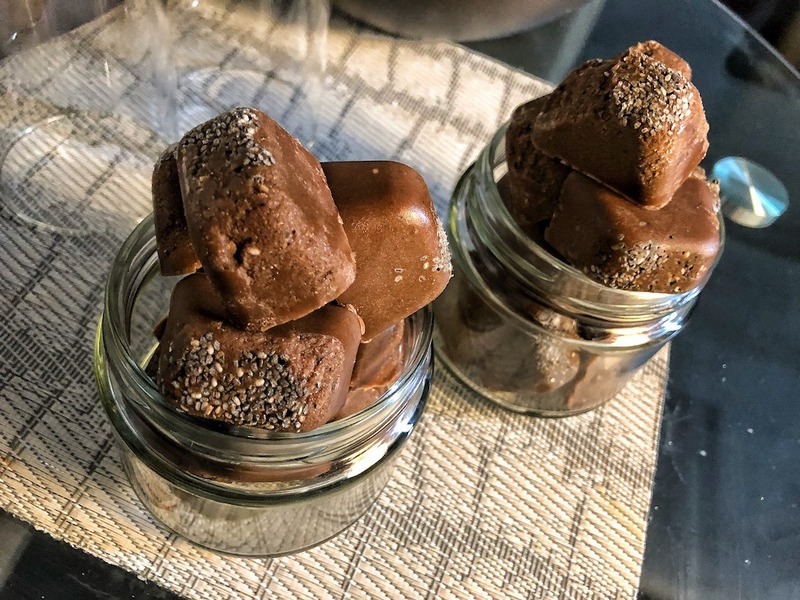 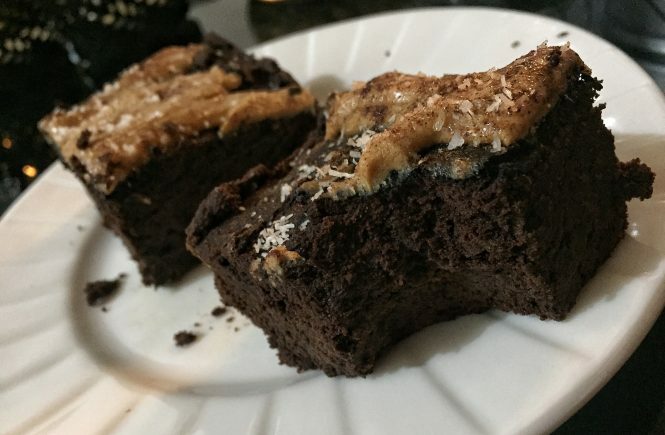 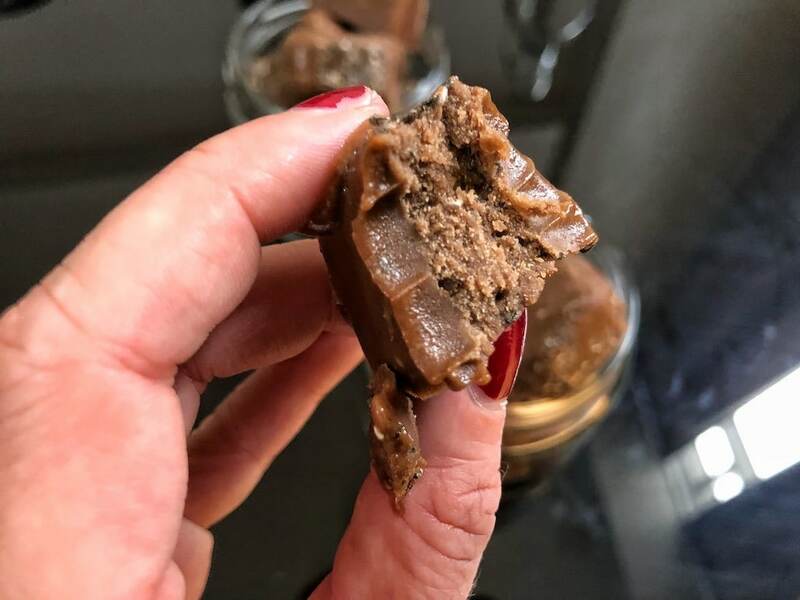 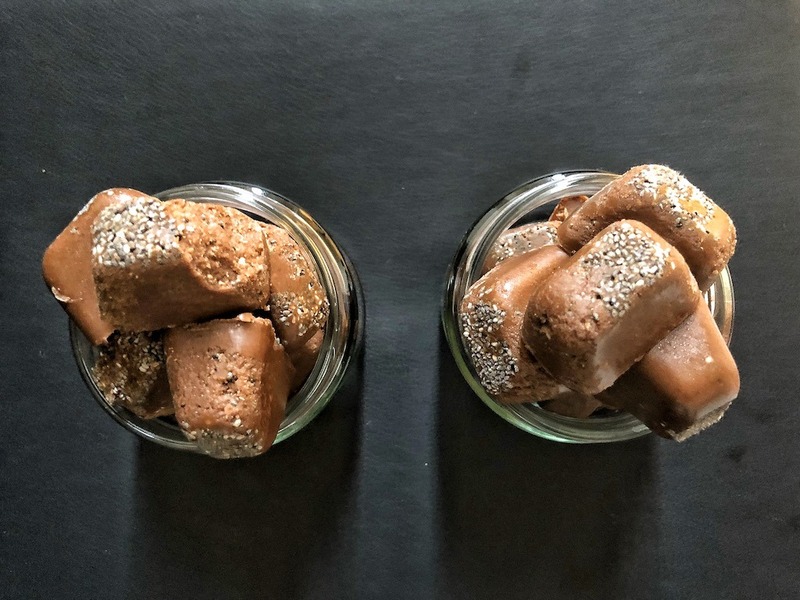 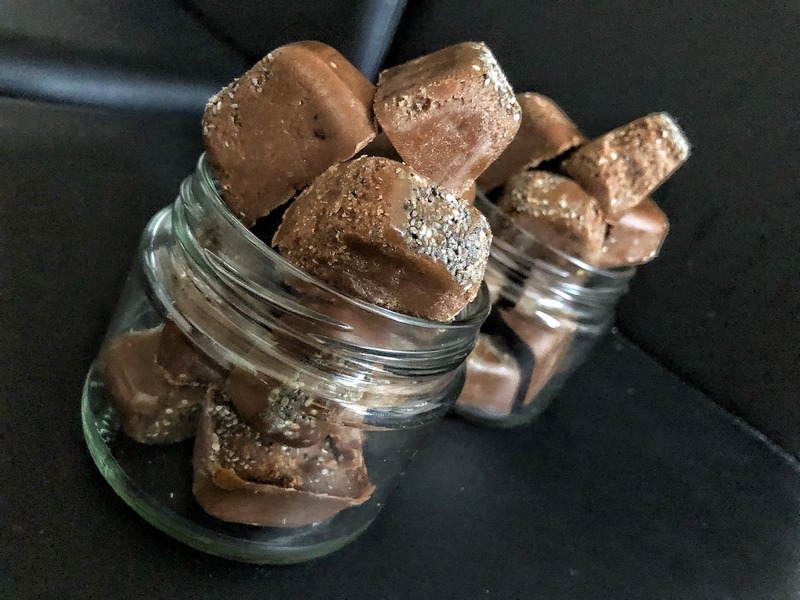 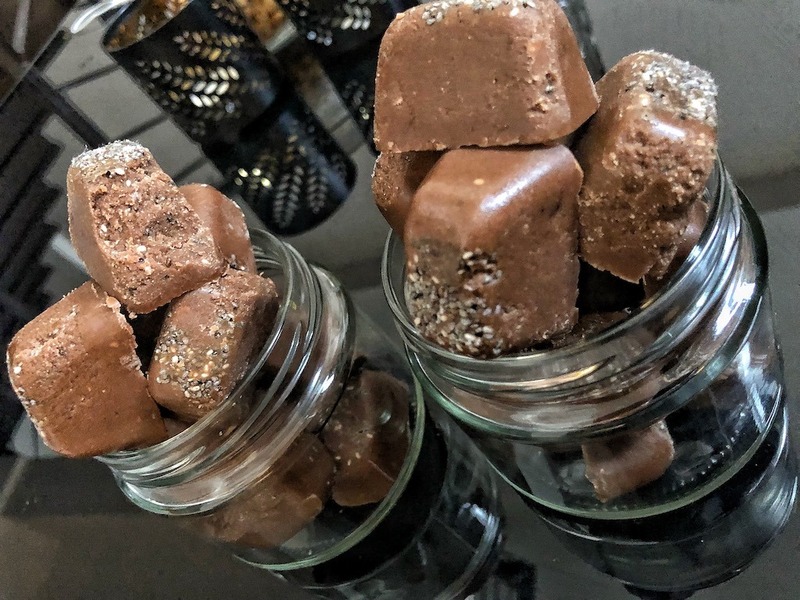 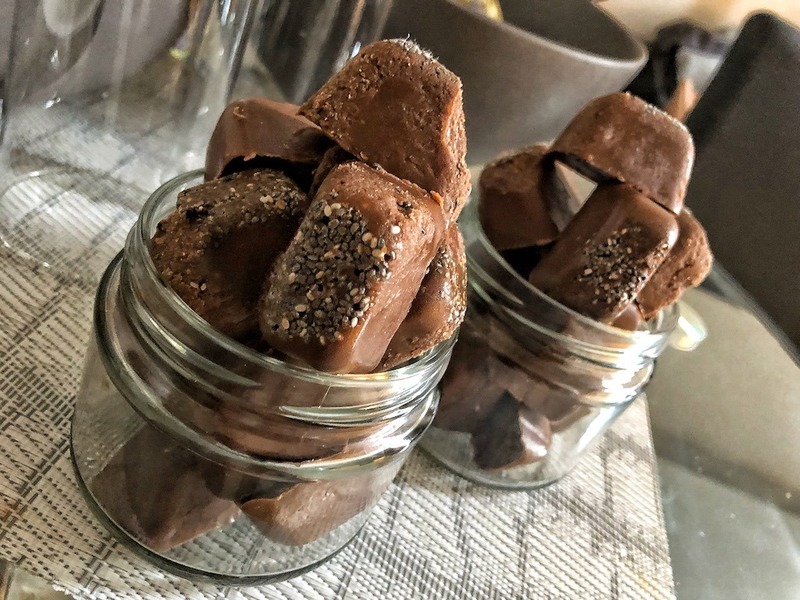 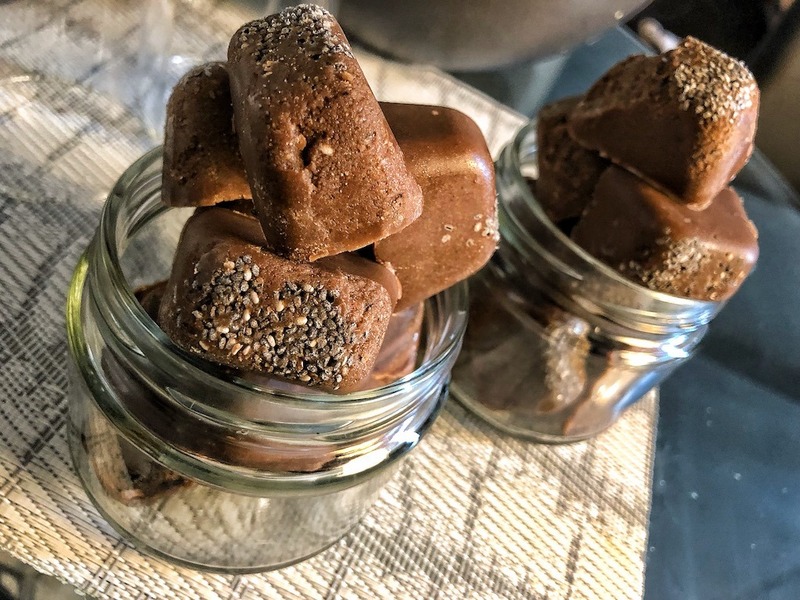 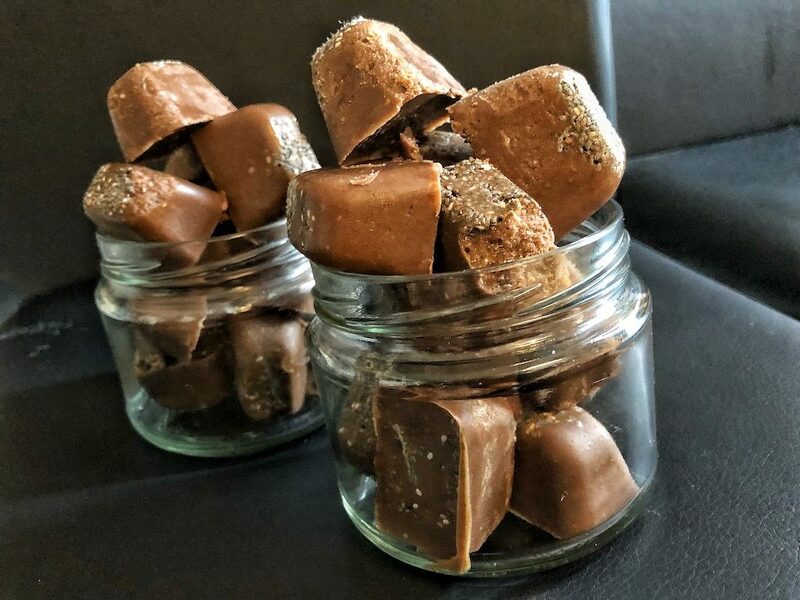 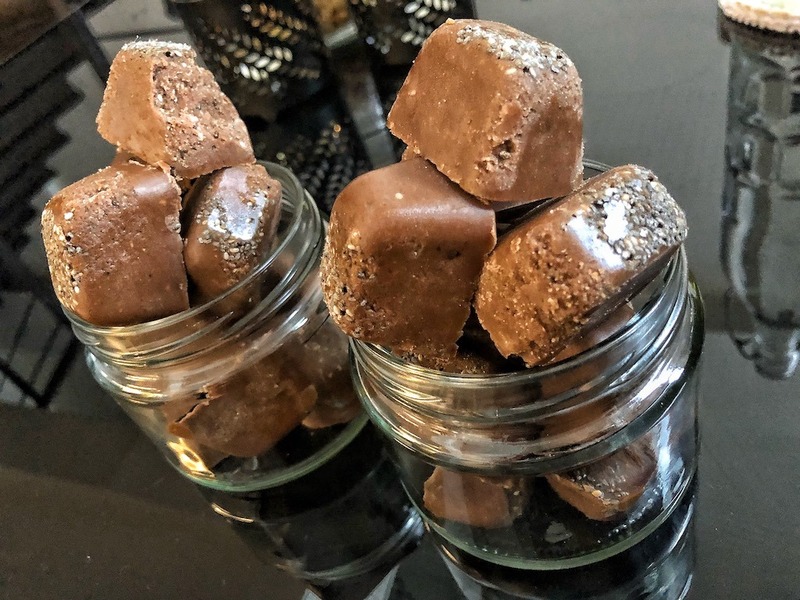 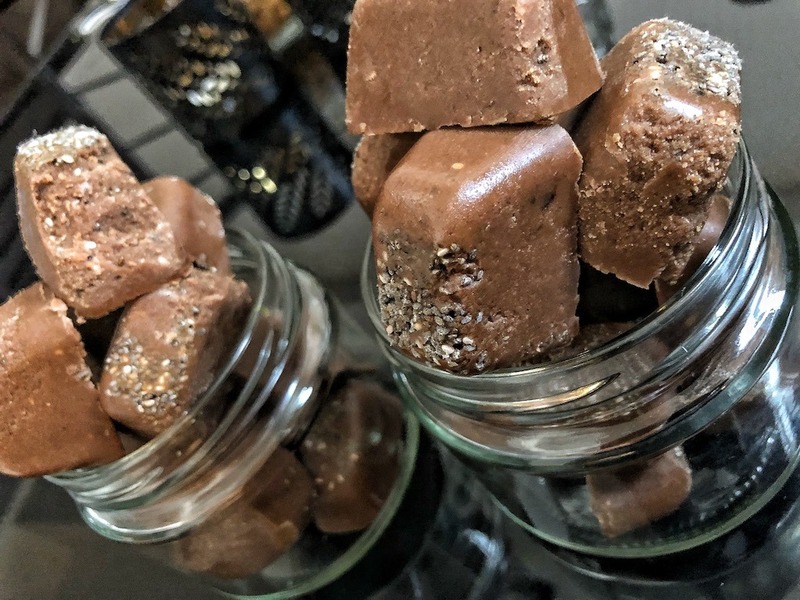 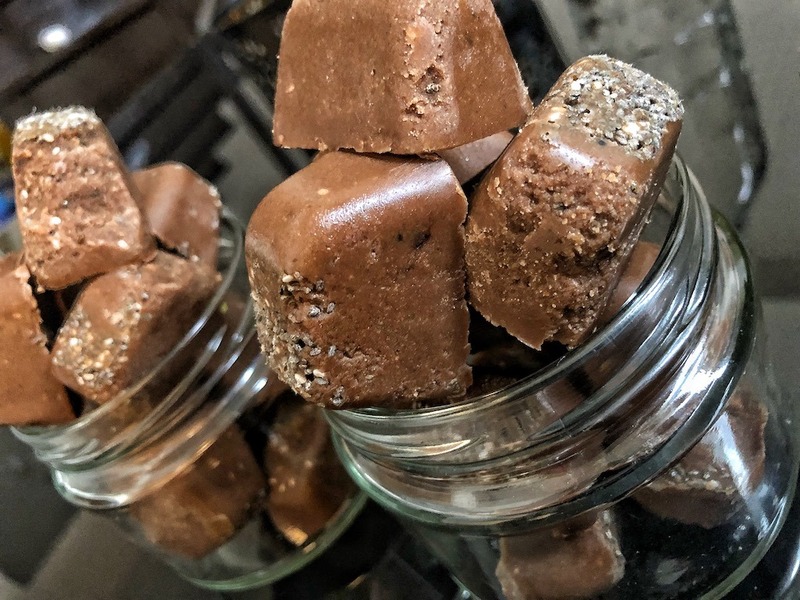 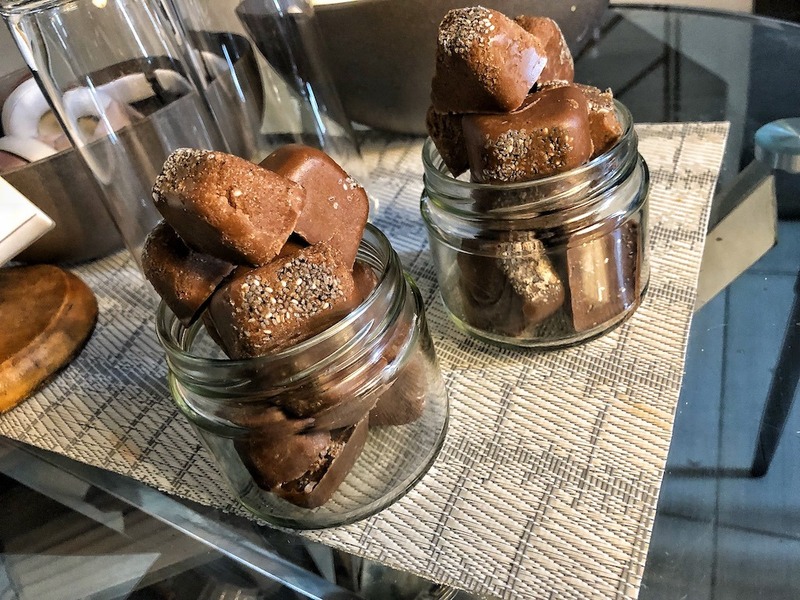 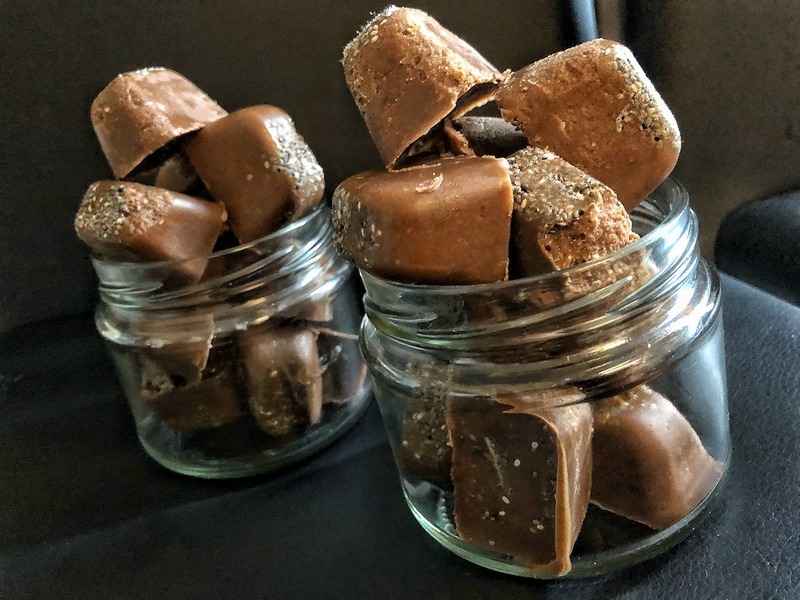 How to make keto peanut butter chocolate fat bombs? 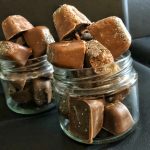 You cannot image how quick this recipe is and how sweet these chocolates are! 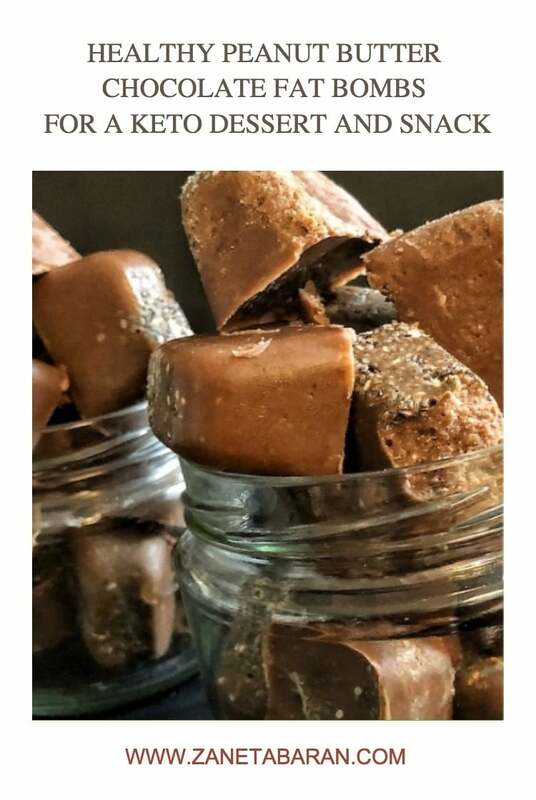 We had a friend coming round this afternoon, so I thought I would make something sweet. 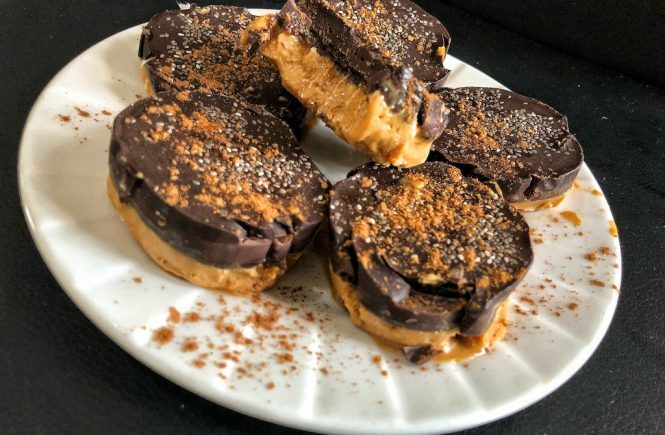 I didn’t want to spend the whole Saturday in the kitchen, so I searched Google for some quick inspirations and here we are. 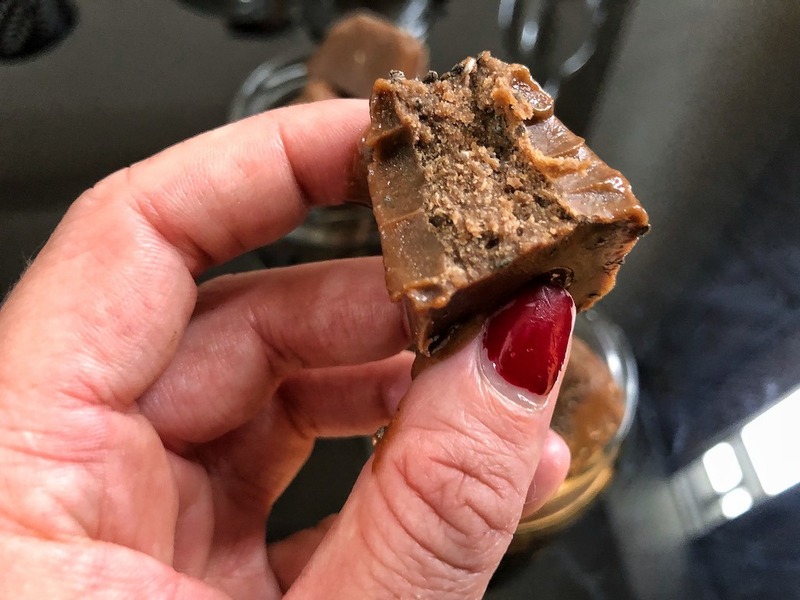 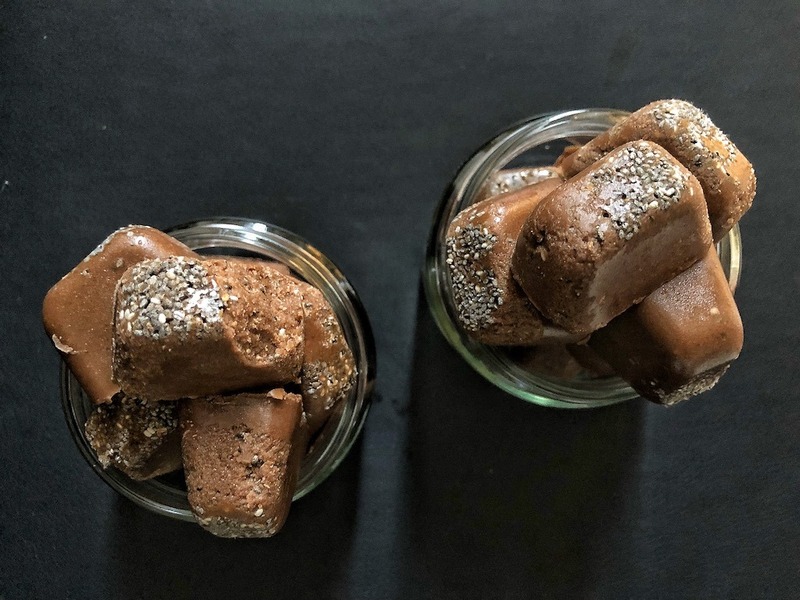 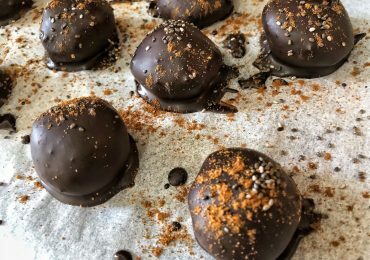 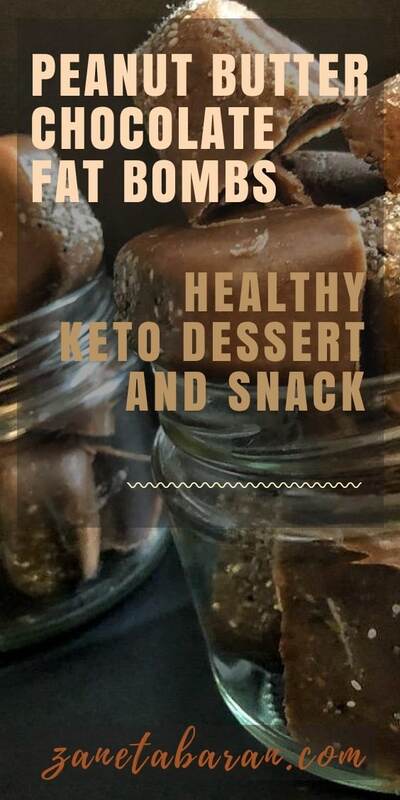 Fat bombs – perfect for a sweet craving or to share with friends or family. 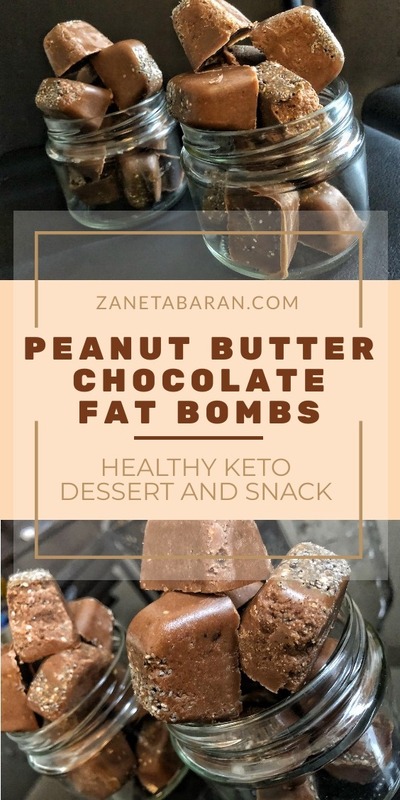 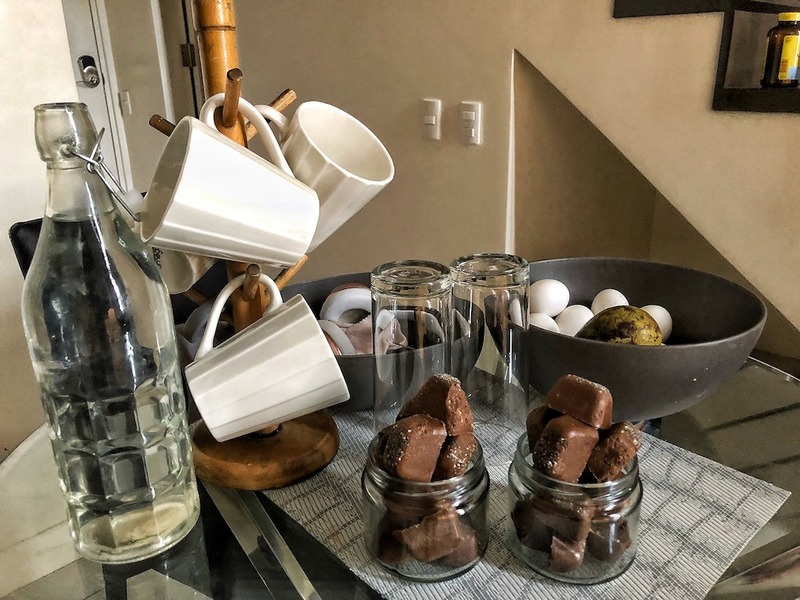 Let’s try keto, peanut butter and chocolate fat bombs! 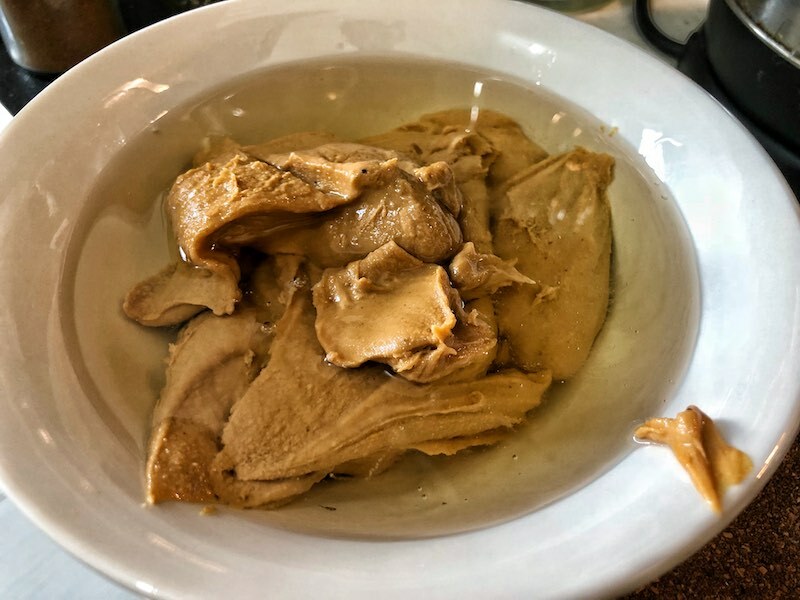 Mix coconut oil and peanut butter in the bowl and microwave for 30 seconds. 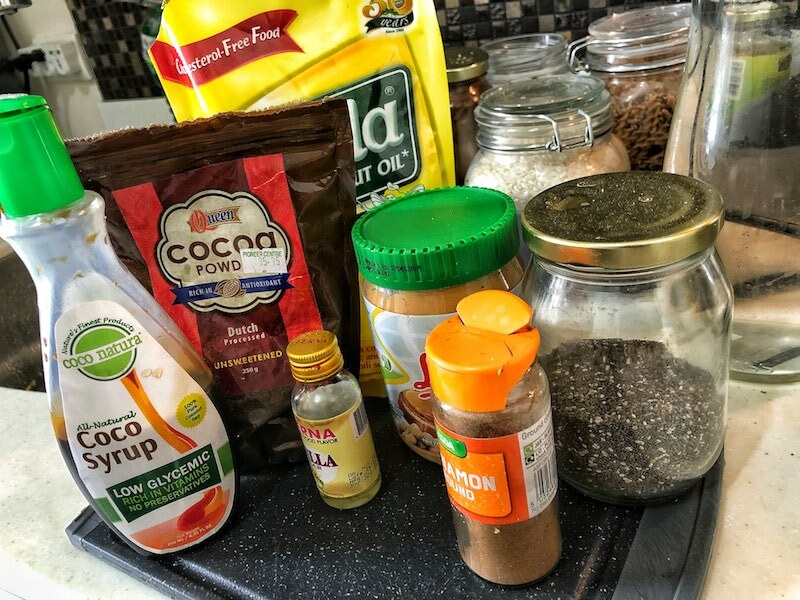 Stir in coconut sugar or sweetener, cocoa powder, chia seeds, coco syrup or sweetener, cinnamon and vanilla extract. 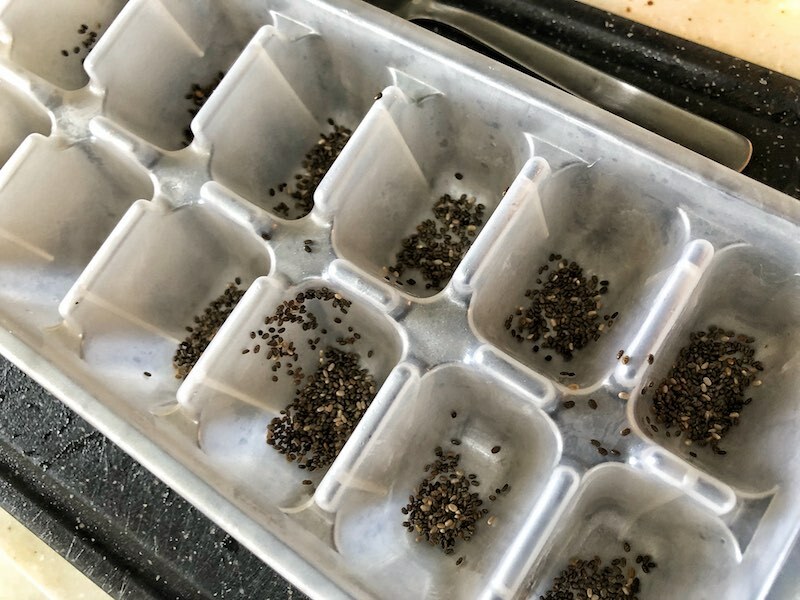 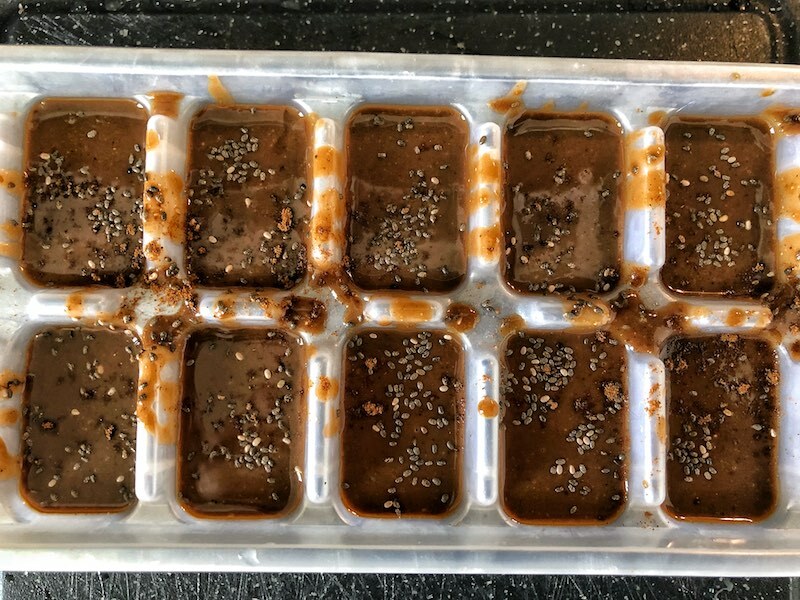 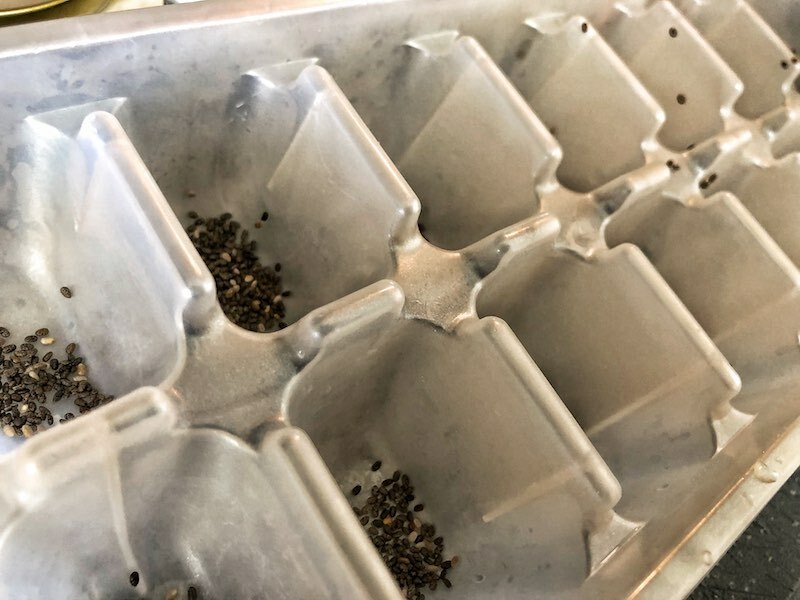 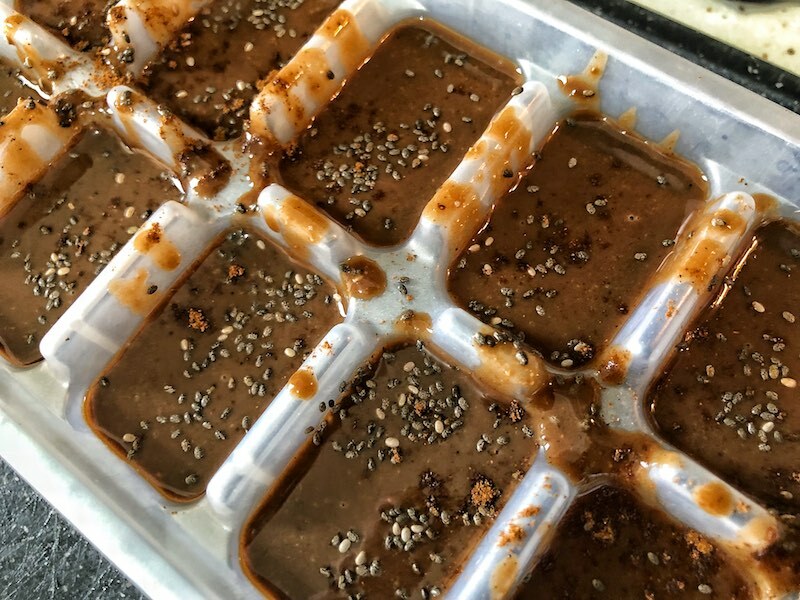 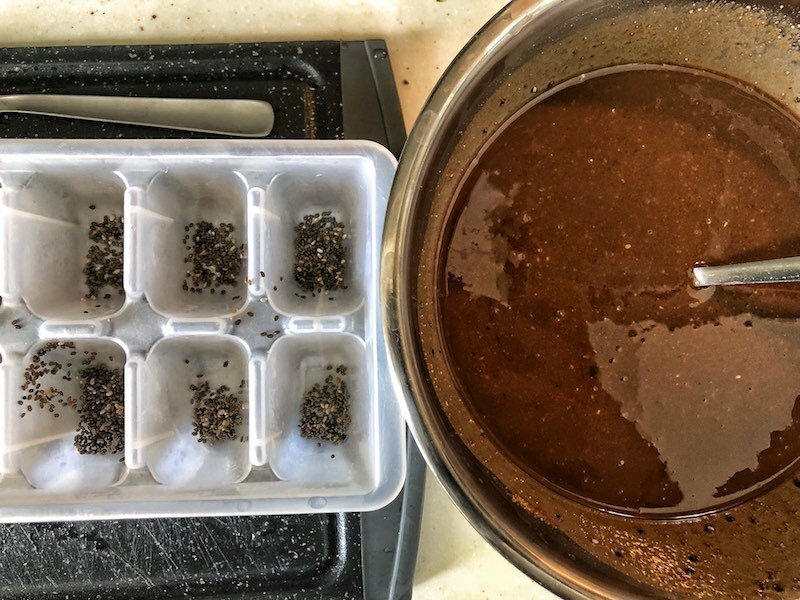 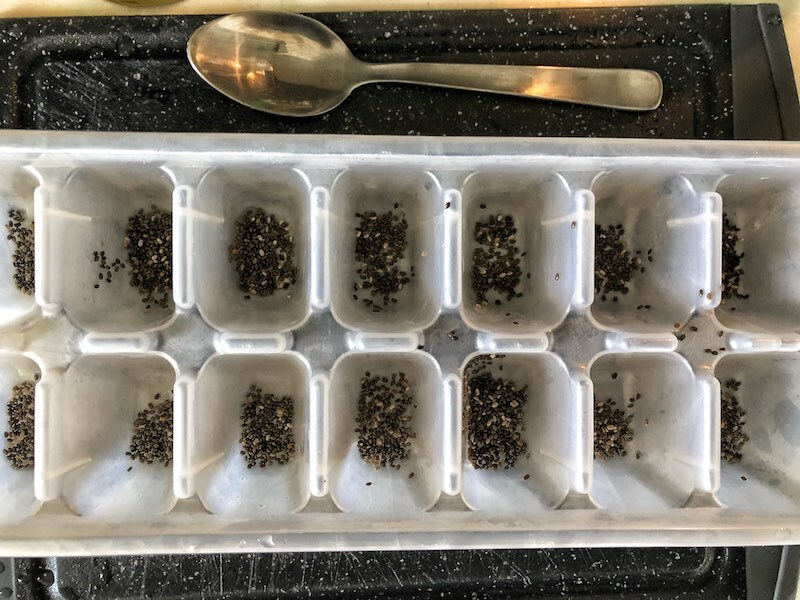 Take an ice tray and fill each section with chia seeds, just cover the bottom. 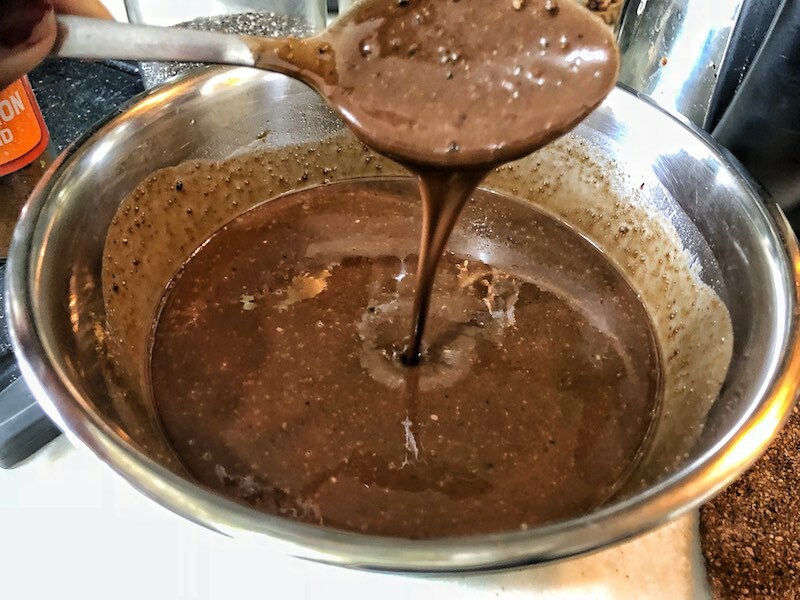 Fill sections with mixture, around 2 tablespoons for each. 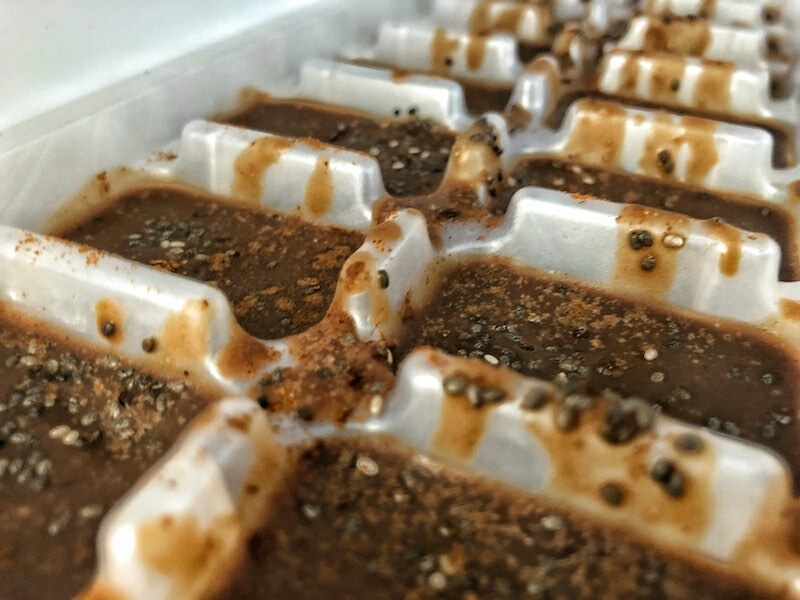 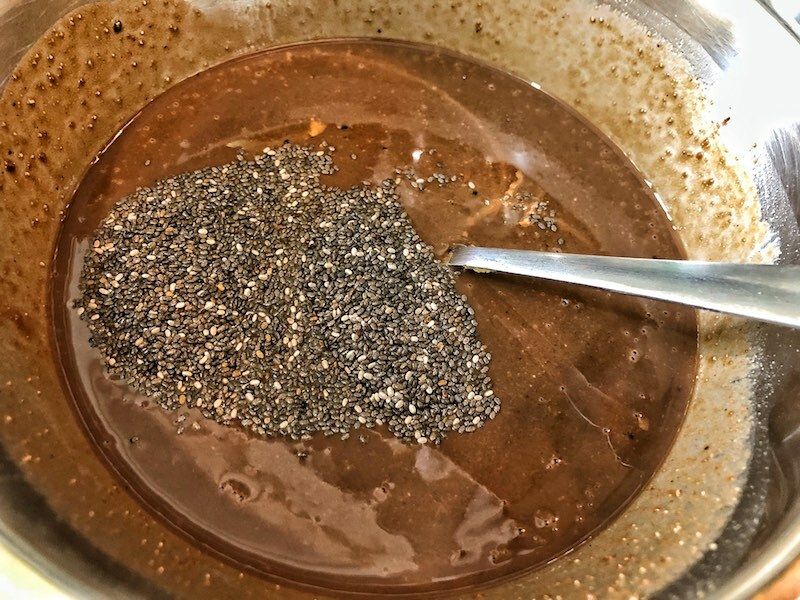 Spread top with chia seeds and cinnamon. 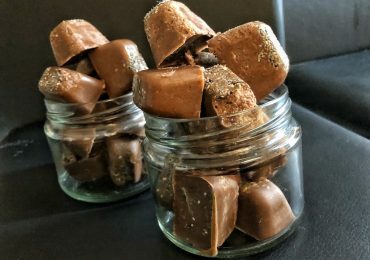 You cannot image how quick this recipe is and how sweet these chocolates are! 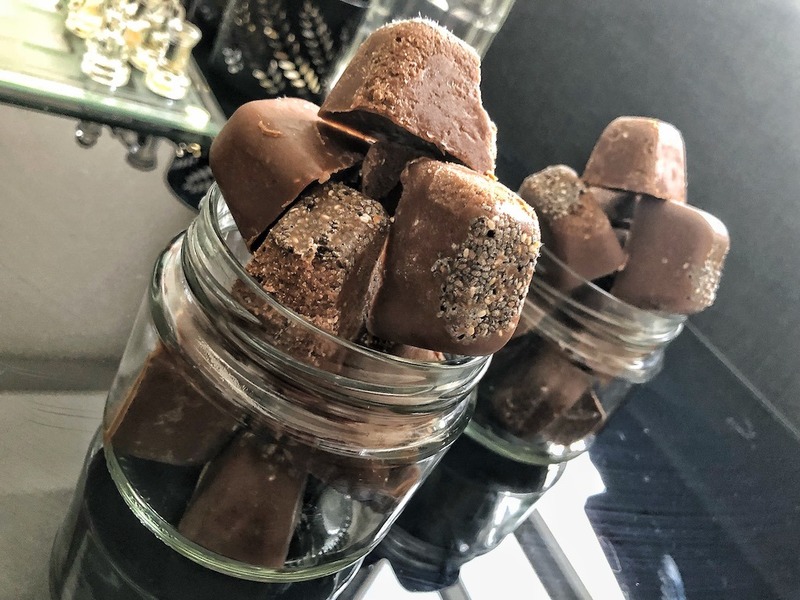 We had a friend coming round this afternoon, so I thought I would make something sweet. 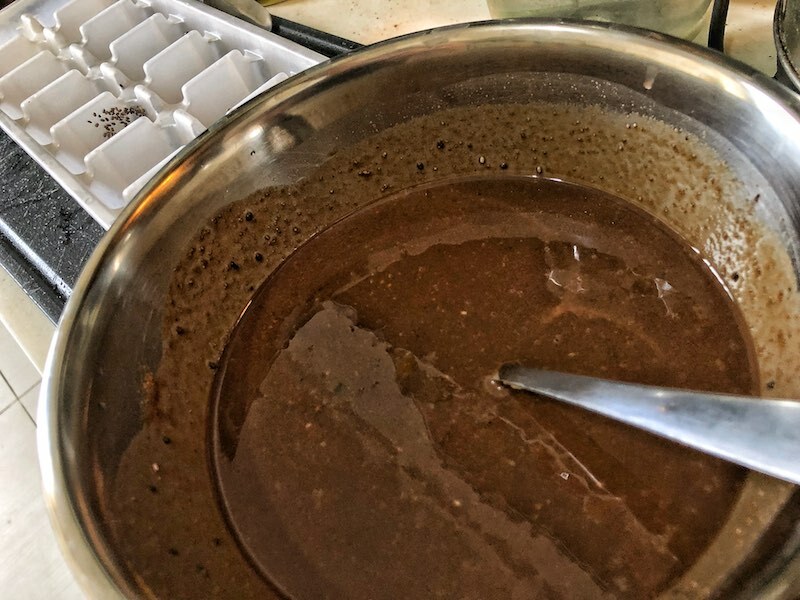 I didn’t want to spend the whole Saturday in the kitchen, so I searched Google for some quick inspirations and here we are. 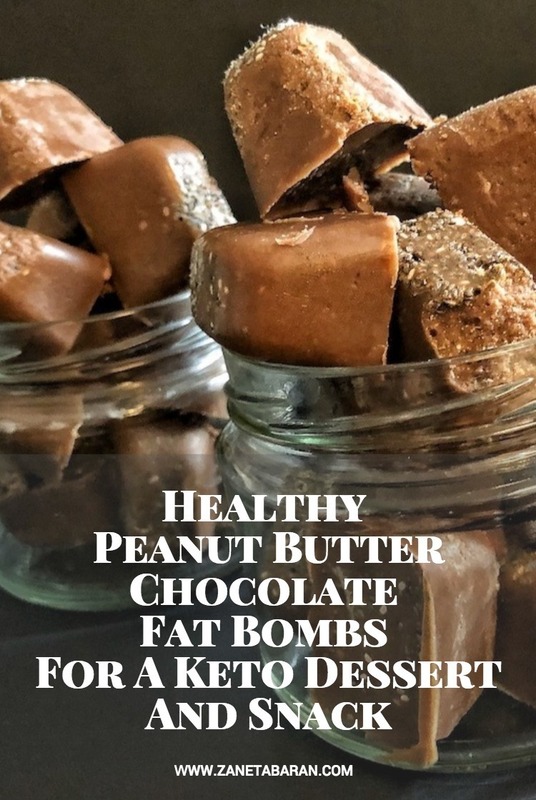 Fat bombs – perfect for a sweet craving or to share with friends or family.